Dr. Rakesh Kumar Prasad is a leading Endocrinologist with proven clinical experience in independent management of patients with endocrinology and metabolism disorders. 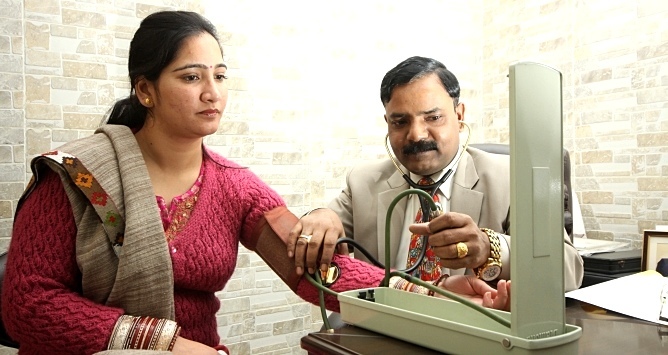 A firm believer in art of medicine, Dr. Rakesh Kumar Prasad has been of great support in providing pre-operative endocrinology consultations, outpatient and inpatient consultation with standards of care to patients with disorders of metabolism, thyroid, pituitary, and other hormonal disorders. He has completed MBBS from Government Medical College, Jammu followed by an MD degree in Medicine from Gandhi Medical College in Bhopal and DM in Endocrinology from Institute of Medical Sciences, Banaras Hindu University. 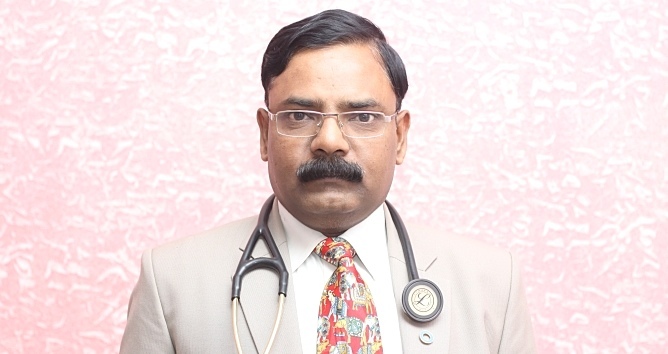 Dr. Rakesh Kumar Prasad specialises in Hypothyroid, Hyperthyroid, Pituitary Disorders, Cushing Disease, Bone & Mineral Disorders, Infertility, Hirsutism, Menstrual Disorders, Growth Disorders, Male Infertility & Impotence, Adrenal Disorders hypo functioning as well as hyper functioning glands, and Androgen Deficiency. He has been actively involved in clinical research and has trained numerous PG students & resident doctors. In addition to it, he has also delivered various lectures and chaired various sessions at national and regional forums. Dr. Rakesh Kumar Prasad is a regular participant at various academic platforms. His contribution in various journals and books is noteworthy. Dr. Rakesh Kumar Prasad has played a pivotal role in organising Diabetes Update Noida 2010, Endo Update 2012 Delhi and RSSDI 2013. Currently, he is Chairman of ‘Scientific Committee’, API, India. Dr. Rakesh Kumar Prasad is available for consultation at Fortis Hospital and Max Super Speciality Hospital besides attending more than 100 patients on daily basis at his clinic. ABPI and its relation to micro vascular and macro-vascular complication in diabetes. Prevalence of micro and macro-vascular complications in newly diagnosed diabetics. S.K. Singh, AG Unnikrishnan, NK Agrawal, D. Kapoor, AK Sahoo, DVS Reddy, R. Kumar. A child with growth failure. Post Graduate Medical Journal 2003; 79: 357-358. Kumar Rakesh, Singh SK, A study of prevalence of complications in newly detected diabetic patients. JAPI; Vol; 51, December 2003, 1161. SK Singh, R Kumar, NK Agrawal, AG Unnikrishnan, DVS Reddy, S. Thazarth. Age and weight related bone mineral density in north Indian Subjects. JIMI, Vol 5, NO. 1, March 2002, 1-4. SS Thazhath, SK Singh, N Agarwal, N Agarwal, VS Reddy, AG Unnikrishnan, R Kumar. Carotid Intima-media thickness in Indian type 2 diabetic subjects with diabetic foot. Vol 50, January 2002, 38-39. Bhadada SK, Agrawal NK, Unnikrishnan AG. Reedy DVS, Kumar R, Agrawal JK. Hypoglycemia. The Indian Practitioner, August 2002, Vol 55, No. 8, 525-532. SK Bhadada, AG Unikrishnan, R Kumar, DVS Reddy, NK Agarwal, SK Singh, JK Agarwal. Pseudo Hypoparathyroidism. Pictoral CME. JAPI, 51; 2003: 74. SK Singh & Rakesh Kumar. Life style modification and Diabetes Mellitus. New Horizon in Type -2, Diabetes 188-192. S.K. Singh, R Kumar and D. Kapoor. Medical Management of Male Infertility. Current Views on Fertility Management 81-96. Attended: R Kumar, Jyoti Bala, NK Agarwal, D Kapoor, R Aggarwal, SK Singh. Peripheral Doppler study in Diabetes. RSSDI 2003 Jaipur 31st Annual Conference of RSSDI pg. 28. Attended: R Kumar, Jyoti Bala, NK Agarwal, D Kapoor, R Aggarwal, SK Singh. Does Insulin Requirement Increases in Summers ? RSSDI 2003 Jaipur 31st Annual Conference of RSSDI pg. 28. Attended: SK Singh, R Kumar, Jyoti Bala, NK Agrawal, AK Sahoo, R Aggarwal, D. Kapoor. Clinical & Biochemical Profile of PCOS in North Indians. ESICON 2003, 33rd Conference of Endocrine Society of India pg. 62. Attended: SK Singh, Jyoti Bala, R Kumar, NK Agarwal, Manoj K, R Agarwal, D Kapoor. Prevalence of Osteoporosis and sensitivity of DEXA in evaluation of low backache. ESICON 2003 33rd conference of endocrine society of India pg. 63. Attended: Dheeraj Kapoor, NK Agarwal, R Aggrawal, M Kumar, Jyoti Bala, R Kumar. Clinical and Biochemical Profile of fibrocalculous pancreatic diabetes (FCPD) in Northern India. ESICON 2003, 33rd conference of endocrine society of India pg 61. Lecture Delivered: Importance of early insulinization in Indian patients march 2014 API Noida. Lecture Delivered: Role of Glitins. Member, Endocrine Society of India. © 2018, Dr. Rakesh Kumar Prasad.